We're so proud of you, Dova! OMG that is the cuteness. Good for her! 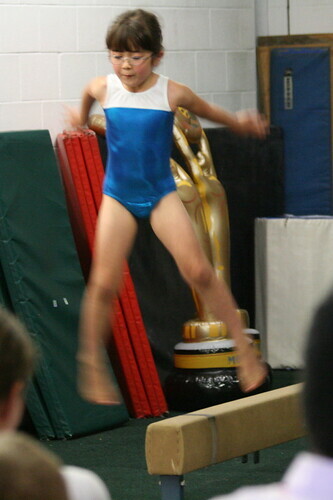 I have always been envious of those with good balance! I definitely don't have it...lol! 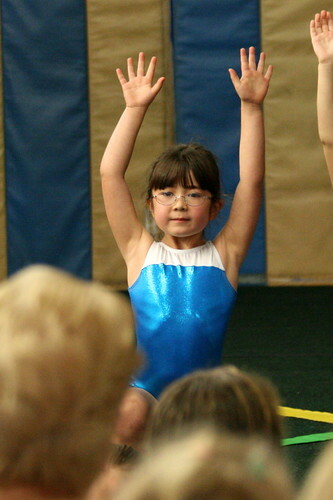 She must really love her gymnastics class.Wonderful pictures. wish I could do that! great! 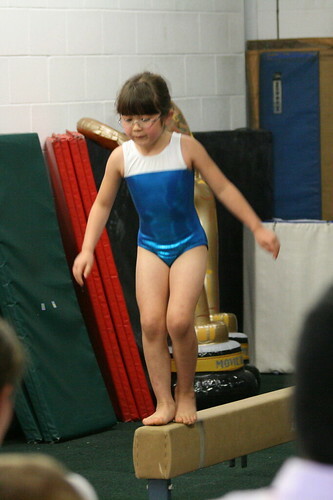 She is at her best on the balance beam. It takes a lot of inner strength and peace in mind to do the balance. I did not balance well in my life and I am practicing the my balance in my yoda class. So, so cute! I'd give her a "10!" I love the discipline you get when playing a sport. 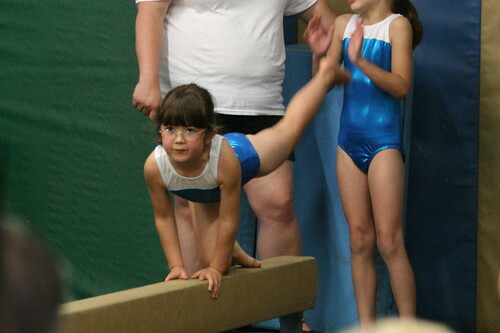 Gymnastics is a very disciplined sport. 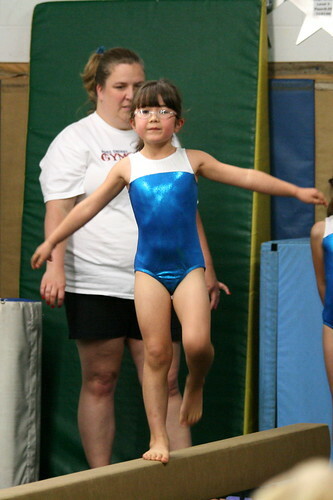 My oldest tried gymnastics, but she has a very short attention span, so soccer was the best solution since she can just run and run. I LOVE these pictures......and the concentration on her face. Way to go! She looks great! Good for her.